About – Bee Group Inc. The Bee Group engages with sales organizations to maximize sales performance and achieve extraordinary sales results since 1996 by using a blend of methodology, experience and technology. Some of our clients have achieved a 38% increase in sales bookings in less than a year. President & Founder - Bee Group. 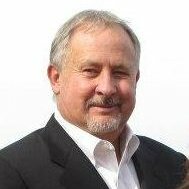 Inc.
Bruce has many years of hands on experience, specializing in Sales Effectiveness, Strategy, High Performance Work Systems and Organizational Development. An experienced partner & consultant for the Altify, formerly TheTAS Group, he has consulted with many different organizations, helping them to achieve remarkable sales results. He has worked hand in hand on the front lines and consulted with thousands of sales leaders and their sales teams. 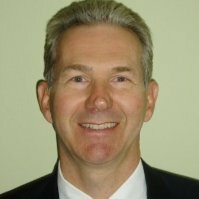 In addition to his Sales Effectiveness practice he was recruited by MASP AG, Oslo Norway/Bern Switzerland to co-found North American operations of Cellus, USA, Inc. In his role as Chairman and CEO, he led his team to build Cellus into a well-known company in the Mobile Content and Management sector. He orchestrated the acquisition of Cellus USA and returned to his consulting practice in 2005. Bruce continues to maintain a robust executive network in the sales effectiveness, mobile, music, consulting and technology industries. Stu brings over 20 years of experience in guiding organizations to improve the performance of their sales and marketing functions. He has expertise in growing deal size, increasing closure rates, framing negotiations and implementing critical sales processes, such as forecasting, account planning and deal assessment. Stu has extensive knowledge in The TAS Group’s sales methodologies: Target Account Selling (opportunity management), Selling to Senior Executives, and Enterprise Selling Process (account planning). He is a Senior Consultant for these programs. Stu also has subject matter expertise in “Courage Based Negotiation” methodology. He has a BS in Engineering from Purdue University and a MBA in Marketing and Finance from Indiana University. 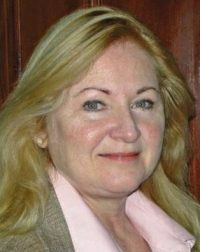 Karen has applied her comprehensive knowledge of The TAS Group’s methodology and systems to client challenges around the globe in the Americas, Europe, EMEA and Asia. Karen is an acclaimed facilitator with the ability to work cross-culturally effectively and sensitively, bringing high energy and a sense of humour to every engagement. She also develops custom solutions and programs for corporate clients and adapts methodology to client-specific needs and culture. Her clients include: Xerox, Oracle, Concur, Intermec and Alcatel Lucent to name a few. In addition to her work as senior consultant with The TAS Group, Karen is a certified expert in negotiation skill methodologies and assists companies in aligning negotiation success metrics for the organization, training stakeholders in execution, and implementing strategy and measuring results. Karen is also Managing Director for a management consultancy in Europe. 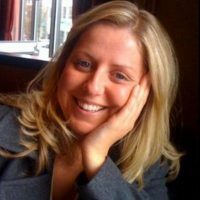 Prior to her twenty years in roles of increasing management scope in Sales and Marketing, Product Management, and Engineering functions in the Telecoms industry, Karen received undergraduate degrees with distinction from the University of Western Ontario. As an International Sales Consultant, Peter has supported Global Organizations such as HP, IBM, SUN, Microsoft, Siebel and AT&T to accelerate their sales force performance and business objectives. Some other Clients include, Reuters, 3Com, Schlumberger, Equant, Neoris, Unisys, CA, Motorola, UTStarcom, Veritas, Adobe, Cingular, Sybase, GlobalOne, ESAB, McAfee, etc. in over more than 27 countries like, Turkey, Israel, Kuala Lumpur, Slovakia, Poland, France, Sweden, South Korea, China, Malaysia, Spain, etc; and all over The Americas. He has more than 10 years experience with The TAS Group. Peter has a B.A. in Business Administration from University of the Americas and Sales Force Performance studies at Kellogg, School of Management, Northwestern, USA. Erika supports the Bee Group Accounts for Altify. With over 10 years experience leading national and global brands in program management and customer success, Erika currently serves as Customer Success Manager supporting small to medium businesses in their ongoing success. Prior to joining Altify, Erika spent the last 10 years with Microsoft, Walt Disney and LiveOps driving global software implementations and program management within their marketing and sales organizations. Martin has 27 years of award-winning sales leadership, management, coaching and consulting, programme development, training and facilitation experience. Working across verticals such as Telecommunications, Pharmaceutical, Oil & Gas, Electrical and Engineering and Professional Services he has a proven track record of leading and delivering major sales variety of global organisations – in both direct and channel capacities. 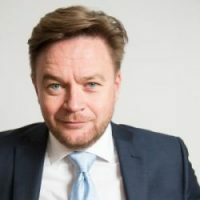 Martin set-up and owns the “Adastral Group: – a consultancy firm focussed on helping B2B sales organisations achieve better outcomes in sales performance, effectiveness and client success. Martin is a fully accredited Independent Consultant for the Altify group across the whole portfolio. 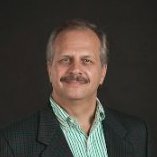 Bryan has 25 years experience managing and coaching sales teams to high performance. His most recent sales leadership role was with LexisNexis, where he was Vice President & Managing Director of Sales with accountability for $75M new business sales revenue and $275M retention sales revenue. In this role, Bryan was responsible for a 435-person sales organization and had clients in all 50 states. A major focus of Bryan’s consulting practice is facilitating Altify (the Future of the TAS Group) workshops; this focus driven by the fact that his teams’ adoption of Altify sales methodology was a major driver of his professional success.